2018년 9월 15일 우리의 해피바이러스 이정신이 28살이 됩니다. 이정신을 아끼고 사랑하는 전세계 팬들이 많이 응원해주세요. 생일 기념품 등을 전달할 예정입니다. 28살 이정신의 행복한 Happy Jungshin Day를 만들어줍시다. 포토북에 생일축하 메세지를 실을 예정입니다. All dear Happy Jungshin friends!!!! 2018-9-15 is Korea Happy Virus, Jungshin’s 27th birthday! We are inviting all Happy Jungshin friends around the world to join the celebration!! Same as last year, we will donate to nursery, send gift to Jungshin’s mom, and prepare birthday photo book and birthday souvenir for Jungshin. 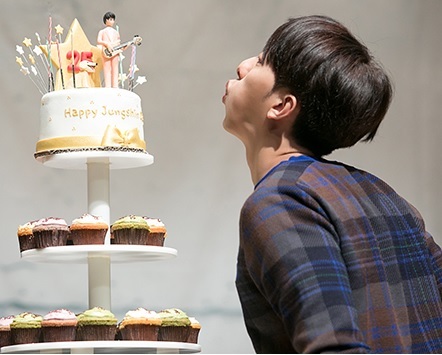 Let’s make a much more happier Happy 27th Jungshin day together!!! Please send your birthday message to the following mail address when you send your support for the event. The message will be included in the birthday photo book!